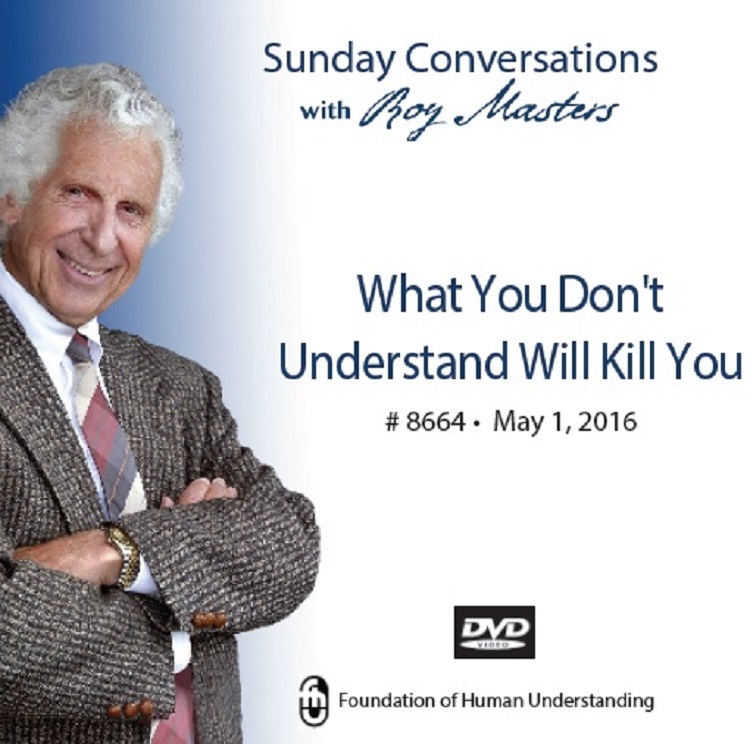 This talk is fascinating and Roy Masters is at his best. This 2-hour session has the power of a week-long seminar. A lady comes forward asking for help in dealing with her cancer. Another lady, unbeknownst to her, is hypnotized. There is a third situation with a married couple that reveals an aspect to marriage we rarely see. It looks at first like Roy is only helping the women in the audience, but look a little deeper. It is pretty well known how men are bothered by the emotional states of the women in their lives. At this talk, there is a lot of emotion in the women, especially in their voices. The very sound of a women’s voice can send a man out of the room. Not Roy Masters. The woman with cancer is afraid. She also has a voice quality that clearly is affecting the audience. Watching Roy is as fascinating as watching those he helps. He is like a good detective searching out clues. This Sunday he is also like a seasoned boxer in a ten-round match. And he knows how to go the distance. The woman with cancer throws him every curve. Roy stays the course, and she gets her chance to find her life. Learn how to deal with stress with Roy’s free 7-Minute exercise on www.AntidoteForAll.com Please pass it forward, especially to our military. We thank our military for their service.